Summary: The Iditarod Sled Dogs are bred, raised, and trained to run races. This article shares information from Michael Davis, a professor of veterinary physiology at Oklahoma State University, who has been conducting studies and research to discover why these canines are such incredible athletes. Please review articles at our Veterinary Center for information on dog care. Iditarod Sled Dogs are healthy athletes. They are bred, raised, and trained to run in Iditarod. Mushers, veterinarians, and race staff work hard to make sure dogs entering the race are healthy and stay healthy during and after the race. Learn about the extensive dog care for the Iditarod Dogs in this article, Dog Care: From the Trail to the Lab, by Sally Simon, Finalist for Target® 2011 Iditarod Teacher on the Trail™. Many resource links are included to supply students with information for their research or teachers with facts to use in developing instruction and lessons. Learn about Caring for Dogs of the Iditarod, by reading this article by Martha Dobson, Target® 2011 Iditarod Teacher on the Trail™. This article includes a lesson plan and resources for classroom use. Learn more about dog care by reading this article, For the Love of Dogs, by Blynne Froke, Finalist for Target® 2011 Iditarod Teacher on the Trail™. A lesson plan and resources are included. 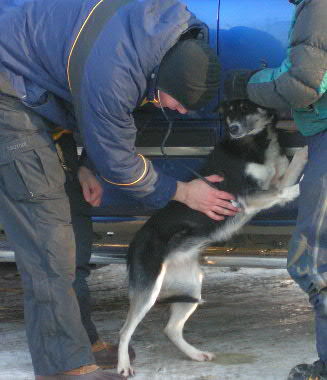 During the race, the sled dogs undergo ‘drug testing’. Read about the “Pee Team” and the important role this group of volunteers play during the race. 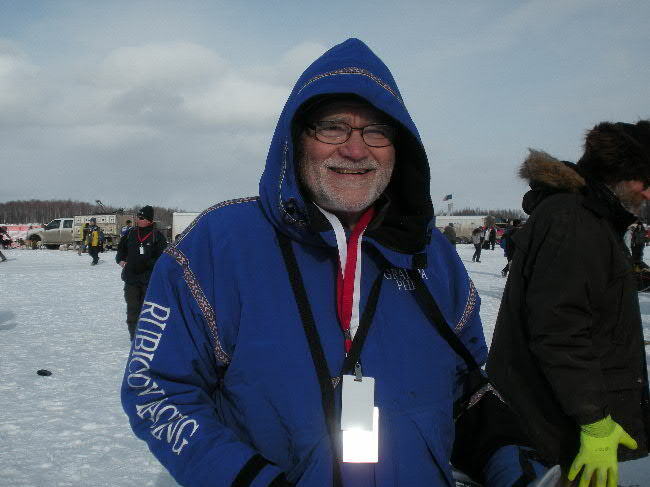 Race volunteer, Grandpa Phil Cady, plays an important role on this team and is dedicated to helping the sled dogs stay healthy. This article was written by Sally Simon, Blynne Froke, and Martha Dobson, finalists for Target® 2011 Iditarod Teacher on the Trail™. Images, resources, and links will provide teachers and students with important facts about keeping sled dogs healthy and the drug testing procedure used by Iditarod. Meet Dr. Stuart Nelson, Iditarod’s Chief Veterinarian. This article, The Dog Doctor, by Martha Dobson, provides insight into Dr. Nelson’s job and the important team of vets who work through out the race. All dogs entered in the race must pass physical exams and be certified to race. The Thursday before the race is ‘Vet Check Day’ at Race Headquarters in Wasilla. During the race, veterinarians are stationed at each checkpoint along the trail and on hand to preform examinations on the dogs as they arrive in checkpoints. The article, “It’s All About the Dogs”, by Finalist Blynne Froke, provides a look at ‘Vet Check’ and a tour to Champion musher, Martin Buser’s kennel. 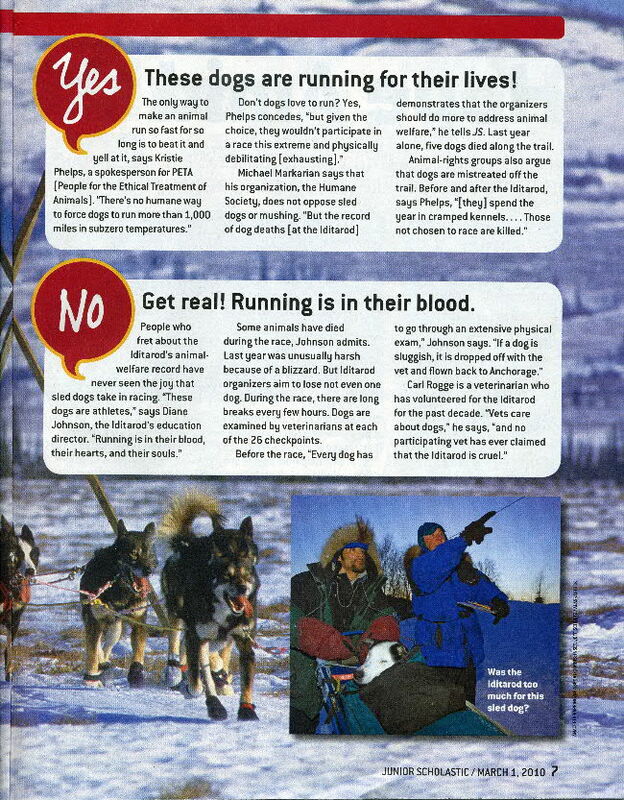 An article, “Elite Athletes Receive Top Care”, by Herb Brambley, Target® 2010 Iditarod Teacher on the Trail™, provides information about dog care, resources, and lesson ideas for classroom use. View an article, Sled Dogs: A Breed of Their Own by following this link. 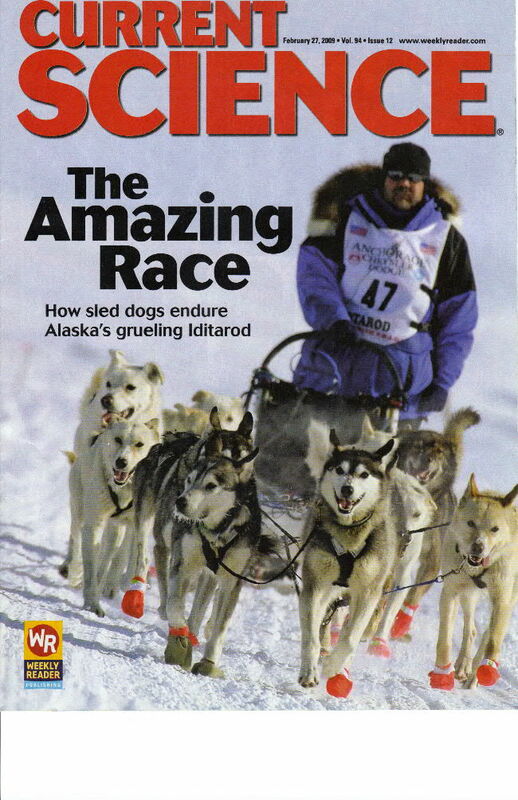 During the 2009 – 2010 school year, Junior Scholastic provided a pro/con article about the Iditarod. The article asked students to vote on an issue. According to Scholastic, when asked the question about Iditarod being good for the dogs, 64% of the students voted in support of the K9 athletes and Iditarod. It is evident that the focus on excellent dog care is obvious when students study all aspects of the race. Good teaching means teachers allow students to use reliable sources to research all aspects of a topic. * If you are unable to view these video documents, contact us for assistance.